The Greater San Antonio Builders Association - Remodelers' Council every year recognizes excellence in professional remodeling and outstanding service to the remodeling industry. The Local Chapter of the National Association of the Remodeling Industry (NARI) awarded Mr. Rudy Nino, owner of SA Building & Remodeling, Co. Rudy Nino accepted this award at their 2nd Annual Inaugural & Recognition Evening on January 13th at the La Scala Restaurant. Rudy was recognized for his leadership in the building & remodeling industry and community. 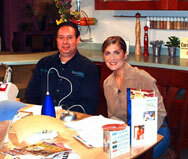 Rudy Nino was interviewed on SA Living on August 25, 2005, about the topic: Know the Signs: Avoid Remodeling Mistakes. 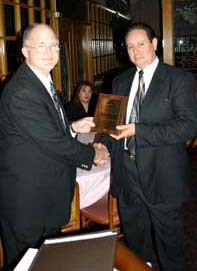 In October 12, 2006 Rudy was presented the years award by Mr. Ervey Banda-Vice President of the Public Affaires with the San Antonio Police Officers Association (SAPOA). Rudy mobilized some of his peers in helping out Mrs. Sylvia Garcia the grandmother that needed help on a new bedroom in behalf of the malnourished twins Jason and Jacob Garcia. This made news back in the month of July when NEWS 4-WOAI broke the news. August 4, 2000 — Code Plus Professional by APA. The Code Plus program was designed to help builders and remodelers market quality construction that was a step above the minimum code requirements. May 8, 2001 — Awards a Notice of Completion to Rudy Nino-Pursuant to 24 Code of Federal Regulations Part 35 addressing Lead-Based Paint Hazards during Renovation, Remodeling, and Rehabilitation in Federally owned & Assisted Housing. Sponsored by HUD. Awarded by QuanTech. 2005 San Antonio Business Journal Remodeler Pick of the Year. Published on Friday April 15, 2005 Issue. 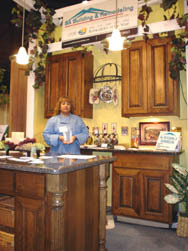 2006 President of the San Antonio Chapter of the National Association of the Remodeling Industry. National Association of the Remodeling Industry. The SA Express-News paper, San Antonio Biz July 24, 2000, Remodeling Magazine (Trade Journal), The SA Construction Newspaper, Today Living 4-WOAI, Great Day SA KENS-TV 5, SA Business Journal—12/04, SA Business Journal—4/2005, and SA Business Journal—2006. Radio Talk Shows with: KKYX Talk Show w/'Two gals and a Tool Belt', and 104-FM Good-Morning show. Live seminar speaker in the Texas Home & Garden Shows in S.A. & Austin. GSABA Builders Shows. Authored numerous Sunday weekly newspaper articles with the SA Express-News Paper/Real Estate Section for five years and with the SA Construction Newspaper. Mayor Howard Peak appointed Rudy Nino, Jr. as an advisor to the city on August 10, 1998 for the benefit of the city residents. Then, Mayor Garza appointed Rudy and is still holding this Mayoral position. This Board makes recommendations to the Director of Development Services in all matters relating to the enforcement and application of the Ordinance and City Code relative to the home improvement contractors, and advises the Director of Development Services concerning each application for a license and on cancellations of licenses of home improvement contractors. Served from 1998-2006. In September 2006 the City dissolved this board.